Don’t we see them all throughout the web nowadays? Whether it’s Instagram, Facebook, Twitter, or Snapchat, hashtags are taking the world of social media by storm! 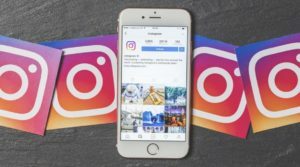 Recently, in 2018, Instagram came up with incredible advancement where it rolled out the opportunity for the users to follow hashtags. In this way, the already hashtag-friendly algorithm of Instagram is turning into an even bigger deal now. So, it seems that the story of hashtags is going to rock far more in the coming future! Here I am with every single detail of this incredible tagging term and I hope these explanations will enlighten you. The story dates back to August 23, 2007, when Chris Messina, who is an expert in social technology, came up with the first hashtag on his Twitter account. The hashtag that he posted was #barcamp. Do you want to know how did the whole tweet look like? It was nothing but the use of pound sign by the Internet Relay Networks (IRC) to label various groups and topics that inspired him to come up with the idea of the hashtag. The sole purpose of using hashtags back then was to tag certain common topics of interest on different microblogging networks. But Twitter didn’t accept Messina’s proposal and thus they didn’t adopt it. Still, the grandeur of hashtags came to light when they were used in many tweets related to 2007 San Diego forest fires of South California. Then, hashtags got international recognition during the 2009-2010 Iranian election protests when people started heading towards this concept for writing Twitter posts in a unique way. So this is how our favorite hashtags came into existence! Why do people use hashtags? This question might have perplexed you more than a single time, right? Let me get you a clear and crisp answer. 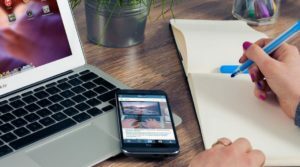 The foremost reason why you should care about hashtags is that it is a proven approach to skyrocket your overall traffic on social media platforms. Just share a post on social media with hashtags and another one without hashtags and see the difference! I can certainly vouch you’d would get at least two times more engagement in case of the former. 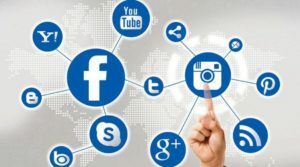 If you add this magical hash (#) symbol to your social media posts, all the persons interested in the same topics will be able to see that content. Interestingly, the perk of hashtags is not limited only to your fans and followers. Trust me, anyone and everyone can access your post!! Everything that you are about to read in the following part of this blog post will be entirely about Instagram hashtags. When it’s about Instagram hashtags, then you should definitely be aware of three major varieties. These are the ones that really matter a lot when compared to the other types! If you are into any particular business, then a completely unique hashtag for that is known as a branded hashtag. Precisely, this kind of hashtag can be anything starting from your company name, the tagline to your product name or campaign titles. This is not all! Sometimes it can even have nothing to deal with your brand name. Or on the contrary, you can say everything related to the identity of your brand. Instagram communities are incredibly specific and we all know that. Isn’t it? Also, it is true enough that Instagram can be considered as a home of communities. You don’t have to belong to any specific tribe to be a part of such communities. The hashtags created by these communities are called community hashtags. These are one of the most specific ones! If you are leading a local business or you are a globetrotter, then this type of hashtag is definitely your cup of tea. With these hashtags, people allow others to easily locate them. There are certainly other types of Instagram hashtags as well, namely niche hashtags, industry hashtags, event hashtags, celebration hashtags etc. How to organize Instagram hashtags? It totally depends on you how you would like to organize your hashtags for using them on Instagram. This is something totally based on your convenience! However, the approaches that I am going to discuss are the ones I consider the most effective. I have attained great results in terms of capitalization on Instagram through these ways of hashtag organization. So, I personally, completely believe in them. It is one of the simplest ways of organizing hashtags. All that you have to do is post them on Google Sheets. Moreover, the reason why I opt for Google Sheets is that Instagram is all about being mobile. And, oh yes! Google Sheets are amazingly more compatible with mobiles compared to excel sheets. Include headers like hashtags, category, # of posts, date, and finally comments. Now just keep on adding your hashtags with pertinent information. Don’t forget to keep your list updated because hashtags are of no use when they are not trending. This is yet another way of organizing your Instagram hashtags. Here, the whole social media management process is a mechanized one. 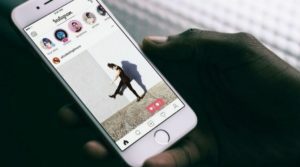 There is a free app called Later through which you can schedule your Instagram posts well in advance. You can use the Saved Captions feature of this app to save the hashtags that you use very frequently. When you think that you should schedule, then just simply choose one of the captions that you’ve saved. Next, add it to your post. Everyone wants to use the best hashtags to entice maximum traffic! But, how should you come up with the best ones? Let me make the task easier for you – Here is what you need to do! If you think that it is enough to just add a random hashtag to your Instagram posts in order to get engagement from your followers, then you’re being completely absurd! You need to identify what kind of hashtags your followers are interested in. Once you are done with this step, then you can act accordingly. Remember! Your hashtags ought to be perfect for the content that you are posting. Being specific, include the keywords in your hashtags that your audience is looking for. When you keep an eye on your competitors, you come to know which hashtags are trending and gaining immense engagement. Next, you just have to remember them while posting your Instagram stories and that’s it! It is quite likely that you might come up with a bunch of new hashtags while following your contemporaries, which are worth adding to your repository. 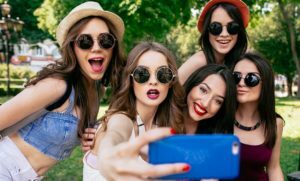 Have you heard the term Instagram influencers? No? Then, you are missing out something unimaginably significant on Instagram! In simple terms, they are the giants who are doing exceedingly well on social media. So, what you need to do here is to just identify such people in your industry and follow their every step to understand the secret behind their success. Know how they are using the concept of hashtags to engage so many followers and what are the kind of hashtags that they are opting for. It is always best to learn from the best! To explore has been always the ultimate strategy for growth. Isn’t it? So, just do the same here when you are on Instagram. Type in your hashtag in the search bar of the app. Choose ‘tags’ from the menu that appears in the drop-down. Thus, you’ll see which hashtags are completely matching with yours. How do you climb to the top of Instagram with perfect hashtags? It is certainly not easy. But, as they say, nothing is impossible! The more likes and comments you will get in your posts, the higher you will rank on the top. The quicker you get the reactions, the better position your post gets. The basis of everything is the hashtag. Right? So you need to find the perfect one that can suit your business. Also, you need to keep in mind that the particular hashtag should be on trend. Moreover, I have mentioned earlier that it is extremely important to be relevant. So, you need to make sure that the hashtags that you are going for are heavily used in your niche. Done with selecting the correct hashtag? Now, your priority is to get the most out of it. Yes! I mean you should leave no stones unturned to get the utmost engagement. For that, what should be your first criteria? You should definitely know when your potential audience is going to be online. It will make no sense if you post with an awesome hashtag at a time when they are not even online. So, know your followers in and out! Just use your best hashtag when they are online and it is pretty much sure that you should start getting a ton of involvement instantly. Yes! This is definitely a tricky way. A kind of secret actually! When you want your posts to be on top, then you don’t need to always include the most targeted hashtags only. 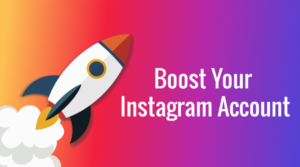 Instead, you can include up to five such big hashtags which might not be focused enough, but yes they are really able to generate a huge number of likes and comments. People should be searching for these hashtags to a great extent! And, of course, don’t forget the relevancy factor even here. 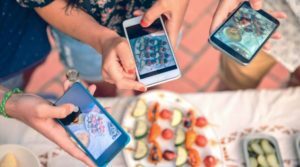 To create your own Instagram hashtag when you own a business seems to be one of the best ways of generating an extreme level of brand awareness. It should be short and sweet. It must create an unforgettable impact on your customers. It needs to be relevant and inventive enough. Try to come up with a humorous and smartly created one, if possible. Follow these tips and your posts on Instagram will be flooded with likes and comments! If you are a brand, then the more you let your customers connect with you, the more successful you will be. And, one of the cleverest ways that many brands adopted for doing so is getting their followers behind-the-scenes. You can do this very simply. Just let your customers know about every single bit of the company’s news. Make sure that they know when your new products are launching and so on. Also, you should allow them to check out your testimonials so that they come to know what your existing or past customers think about you. On doing all these, you would develop an ultimate level of emotional connection with your buyers. You may come across brands hosting contests that revolve around UGC. 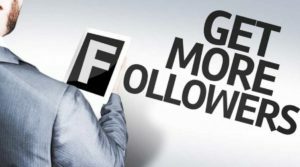 This has proven to be one of the most famous tricks to engage more and more followers. People find those competitions fun and interesting! Want an idea for doing something like this? Why don’t you just follow Levis? Just come up with a contest like them in which your followers would upload their photographs on Instagram. No! It doesn’t end here! Don’t forget to ask them to tag their post with the branded hashtag of yours. Just do this and see the magic! If you are most likely to host an event soon, then create a unique hashtag for that. Make sure that you are doing this before the date of the event arrives, but don’t make it too early! If you post a hashtag six months prior to the event, then although your post would get a great engagement at that point, as the time passes, the fever will die down. You should rather post it one month ahead and ask your audience to share the content as much as possible. You will definitely notice huge traffic! Such a step from your end would not only encourage traffic but will also systematize every single post that has been tagged with it on a particular hashtag page. Again, the story is all about branded hashtags! 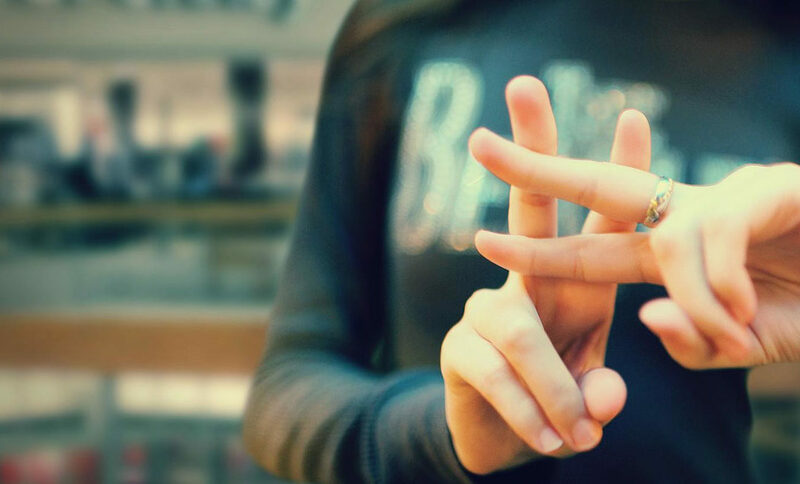 While coming up with a distinctively branded hashtag, don’t forget to include some specifics within it which will not only show what your business is about but will also attract customers. Building communities go hand in hand with Instagram!! When you have a great branded hashtag, this will let your community be even more vibrant and lively. They will get a perfect place to share and traverse interesting and worthwhile content. So, this is all about Instagram hashtags that I believe is worth sharing with you! You must have understood by now that hashtags can be one of the most powerful ways for you to create a deep social impact whether you are leading a business or you are simply an Instagrammer trying to grow your following! Last but not the least, keep hashtagging and always steal the show!